We LOVE Rocky Horror Picture Show. Tommy, Twiggy, and Bunny met in 2009-2011 performing in various productions across the state. This cult classic is one of the main bonding factors for this quartet. production of the midnight movie was a matter of finding other performers equally enthusiastic about Rocky as we were. 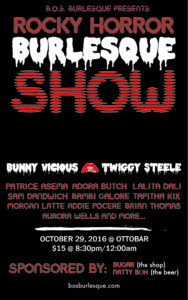 And in 2016, we put on our second major production at the Ottobar. 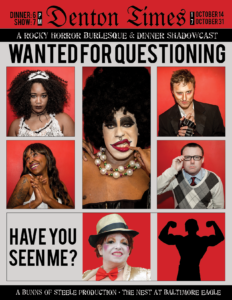 Our second year, we partnered with Baltimore Eagle to do a dinner theater production and invite some new performers to the stage. As we enter our third year, we hope to keep our audio-only production fresh and exciting for our audiences. We can’t do this show without the help of our sponsors. 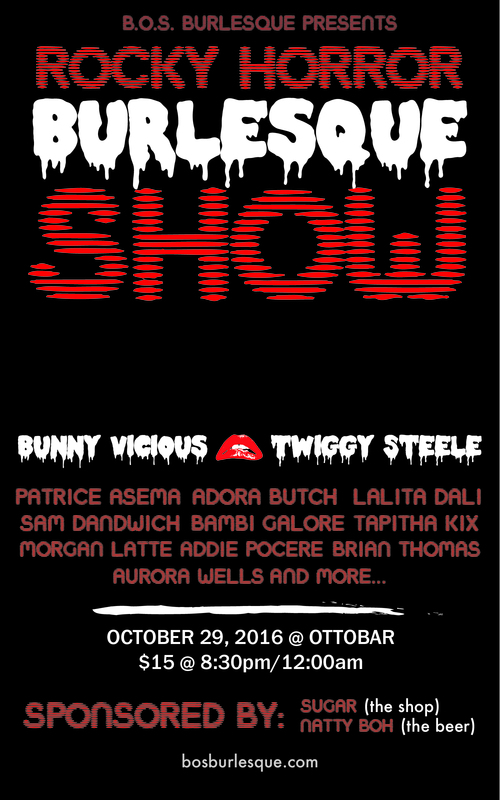 If you are interested in supporting this show, please email Bunny. If you would like to be apart of our third annual production, please await our casting call on Facebook.